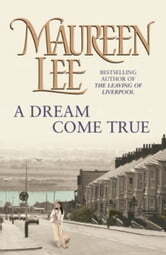 From Sunday Times bestselling author Maureen Lee - written specially for the World Book Day Quick Reads promotion. Maggie's once-happy marriage has turned sour, leaving her tied to a husband who no longer seems to love her. So she continues to work, keeps in touch with her friends and tries not to think about the lack of love in her life. But all that changes when Maggie meets someone who transforms how she feels about herself and turns her entire world upside down. This is a very romantic but true to life book.